Let use take our Indian tribal tor forward. Today, we will discuss the Sema tribes. Like many other tribes in India, these tribes are also very lively with their culture and festivals. 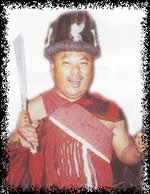 These Indian tribes are found in Zunheboto district of Nagaland. They are considered as the martial tribe in the Naga. Tuluni is the most prominent festival observed in the second week of July every year. Labels: indian tribal tour, indian tribes, Sema tribes, tribes in india.